A Striking Southwest Corner Residence at Cherry Creek Tower, Denverâs Famous Mid-Century Modern High Rise. The Stunning Remodel, Framed by Floor to Ceiling Glass, Soars Amongst the City Skyline and Rocky Mountains. Truly Million Dollar Views from Pikes Peak to Longs Peak. The Open, Naturally Lit Residence Pulls you into the Comfortable Floor Plan and is Highlighted by the Designer Kitchen. The Marble Countertops, Custom Cabinets and Light Backsplash Fuse Perfectly. The Bar Seating Completes the Space. The Master Bedroom offers a True Escape. The Airy Room is Supplemented to Perfection with a Large Walk-in Closet and White, Fresh En-Suite Bathroom. 804 is Completed with a Relaxing, Open Living Space Engulfed with Views, a Generous Second Bedroom and a Stylish Bathroom. 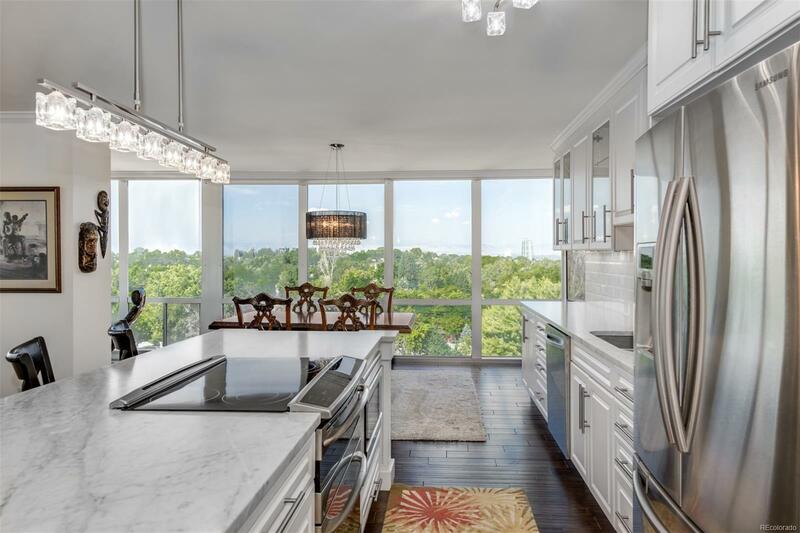 Cherry Creek Tower is Amenity Rich. Perks include a Pool, Lush Landscaped Terraces with Grills, Fitness Room, and On-Site Management Allowing for a Maintenance Free Lifestyle.